You are here: Home / Windows 8 / Windows 8 Reset And Refresh Feature—Do We Still Need Computer Repair? The Windows 8 reset and refresh feature is an update of a feature Microsoft has been including in every version of Windows from XP forward. Reset and refresh is easier to use and it has additional options, but can it replace most other types of computer troubleshooting? The easiest way to get rid of software problems on your computer in any version of Windows is to reinstall Windows and all of your software. Before Windows XP, regular reinstalls were practically necessary. Since Windows XP, reinstalls are still a highly recommended way to fix major problems, such as virus infestations. • Backup all of your important data. • Backup all of your software installers or prepare to redownload each installer. Also, make sure you have any important installer CDs and DVDs. • Make sure you have all of your license registration codes handy so you can activate all of your software. • Reinstall Windows, which can take between one and two hours depending on the speed of your computer and your computer skill. 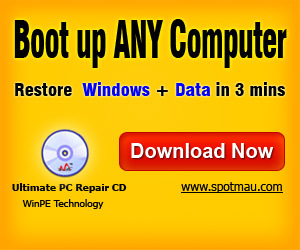 • Reinstall all of the programs you need. • Restore all of the data you backed up. There are so many things to think about before formatting a computer. Even as a computer expert with a good backup system, reinstalling Windows can take me the better part of a day. 1. Restore: this is the same thing earlier versions of Windows have done: it lets you rollback system changes, such as driver updates, in case something breaks. Nobody ever used it before except for a few system administrators, so I don’t expect anyone to use it now. 2. Refresh: this reinstalls Windows without touching your personal files or any of the programs you installed through the Windows Store. 3. Reset: this is almost exactly like reinstalling Windows manually. It deletes all of the data on your computer and reinstalls Windows back to the default state for your computer. Refresh sounds great on paper, but I have to wonder whether it will be popular in real life. The problem is that it only preserves apps and data from apps downloaded through the Windows Store, but if you only use apps from the Windows Store, your computer should be pretty much free of viruses, spyware, old programs, and the other problem programs which force us to reinstall in the first place. If you use programs from outside the Windows Store, you will need to back them and their registration codes up manually just like you did on previous versions of Windows. Also, if you’re paranoid like me, you will want to backup your data before running refresh just to make sure Windows doesn’t accidentally delete something you need. So do your really save time with reset and refresh? Probably: because they run directly from your hard drive instead of from a DVD like an older Windows reinstall, reset and refresh take only a fraction of the time. The reason traditional computer software repair exists is because people don’t want to reinstall Windows every week. Windows refresh makes reinstalling a little bit easier and a little bit faster, but not enough to make me give up my repair programs.